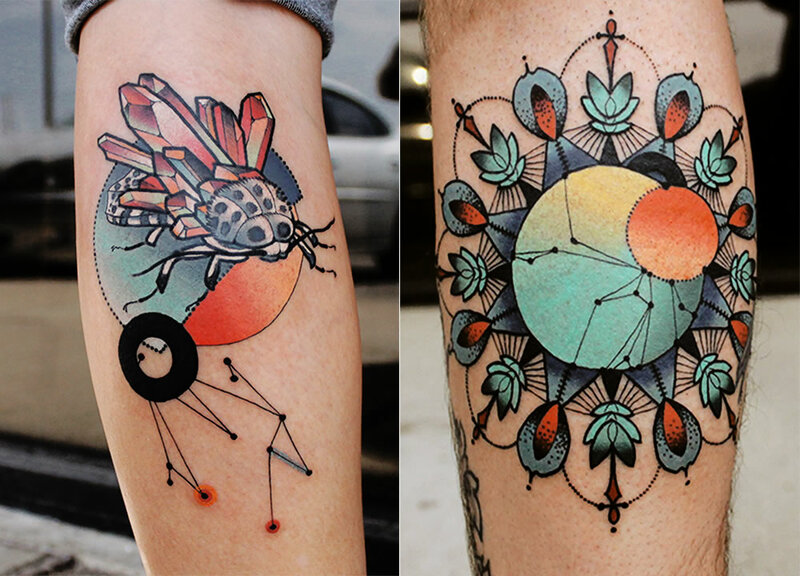 Tattooist Cody Eich has a consistent illustration style that is a playful spin on nature themes. 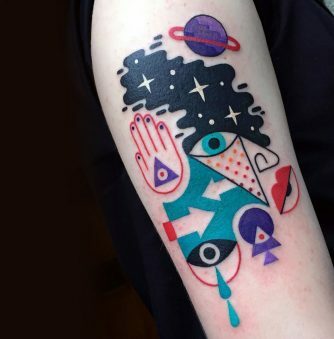 In many of his designs, he includes constellations, possibly a representation of how everything is connected in our universe. 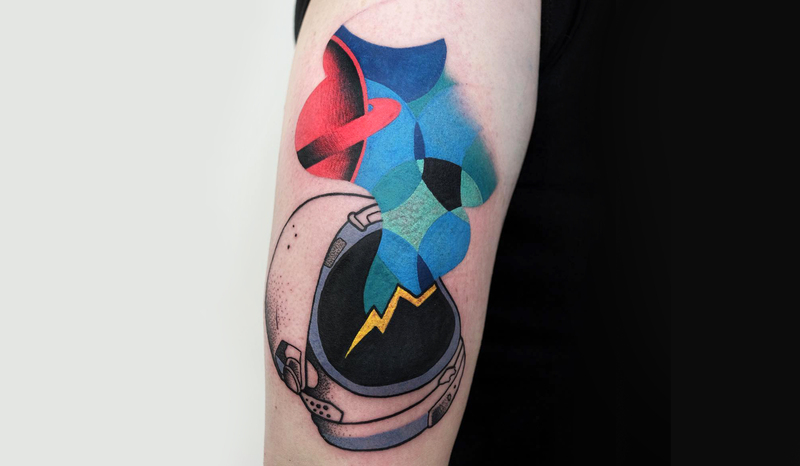 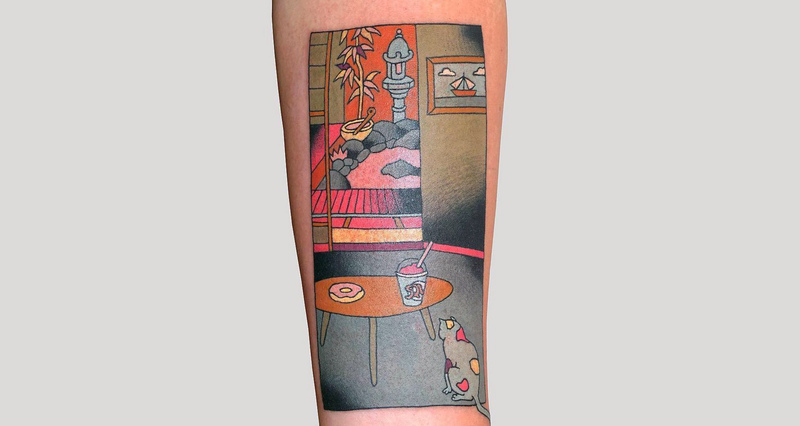 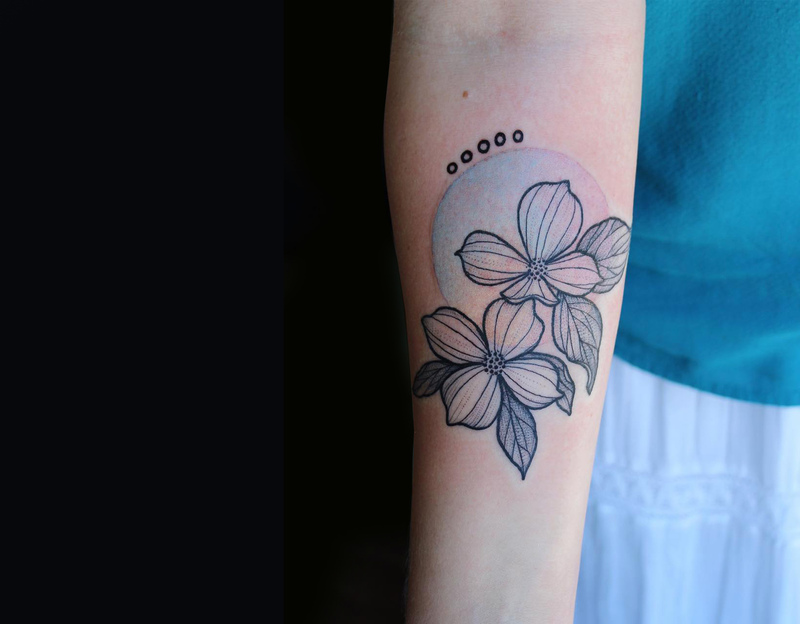 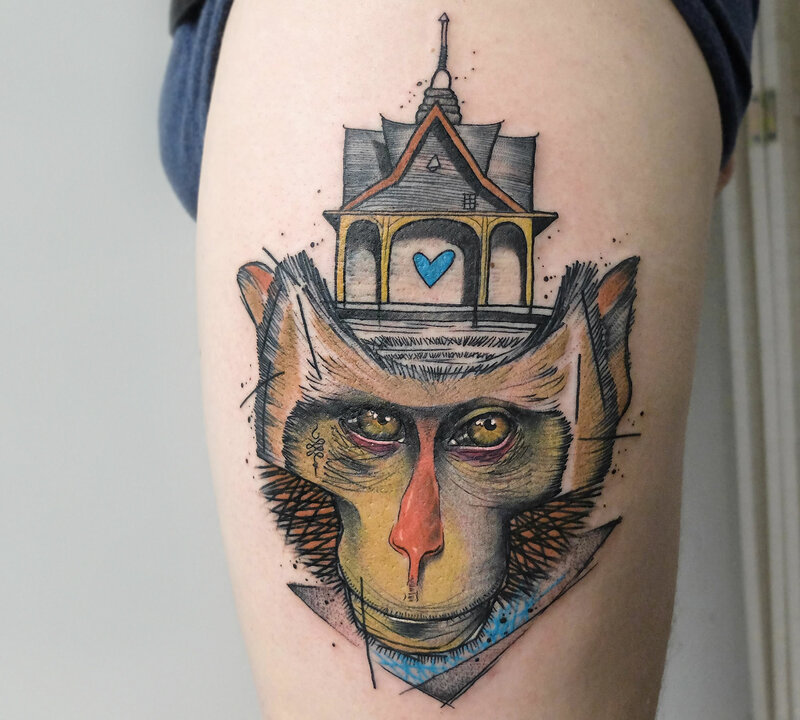 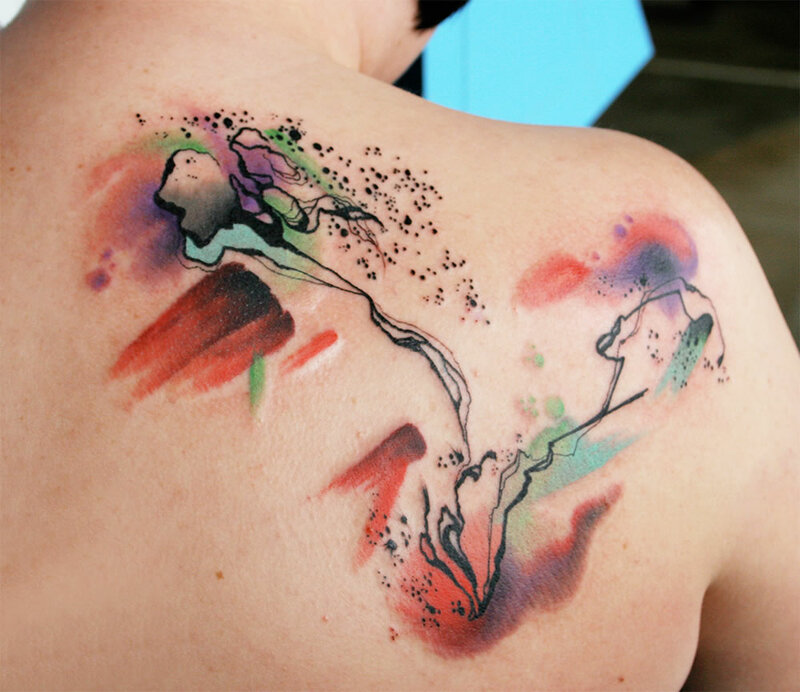 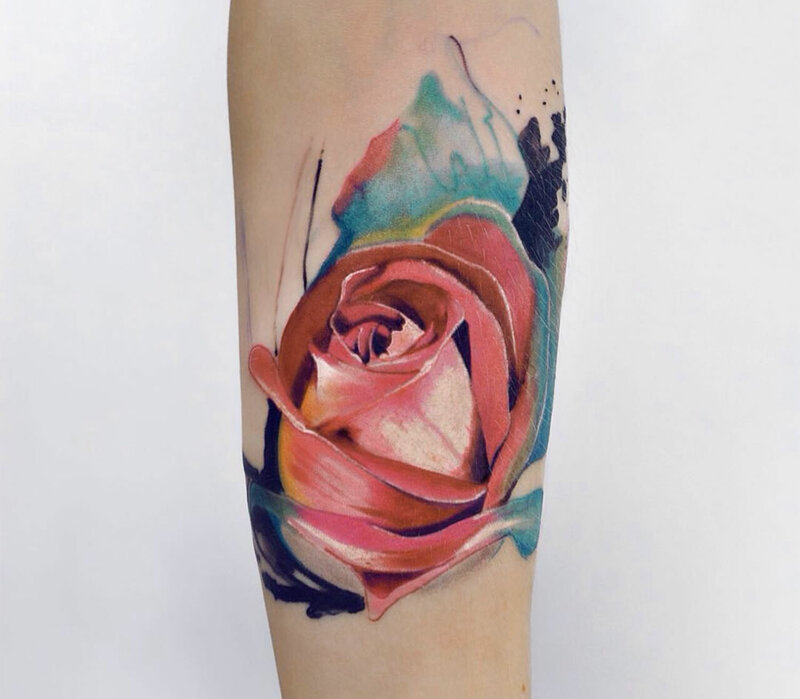 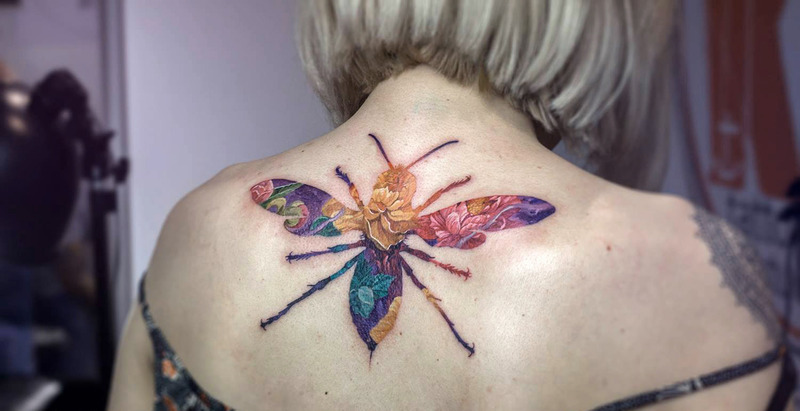 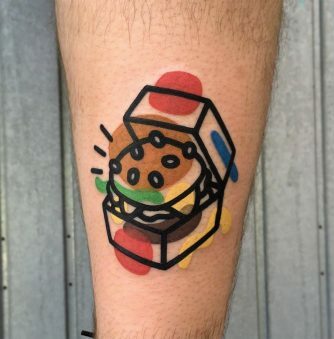 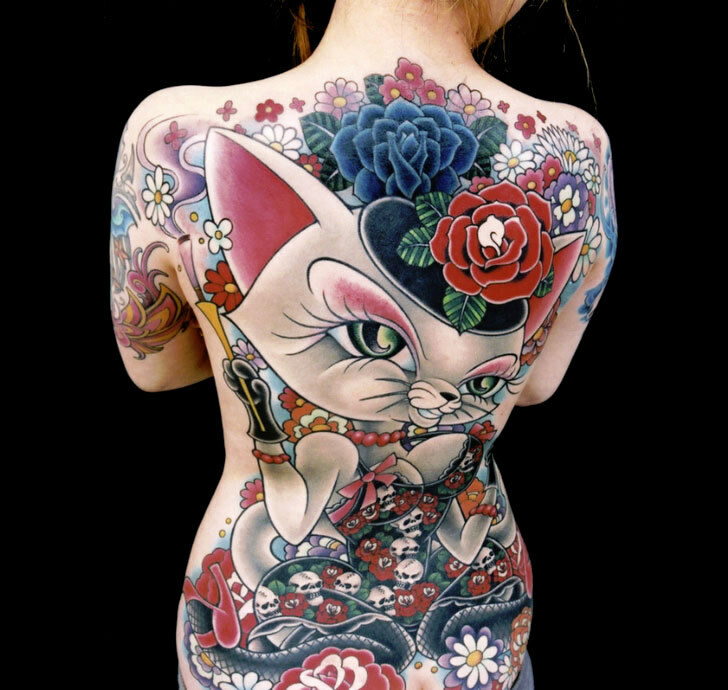 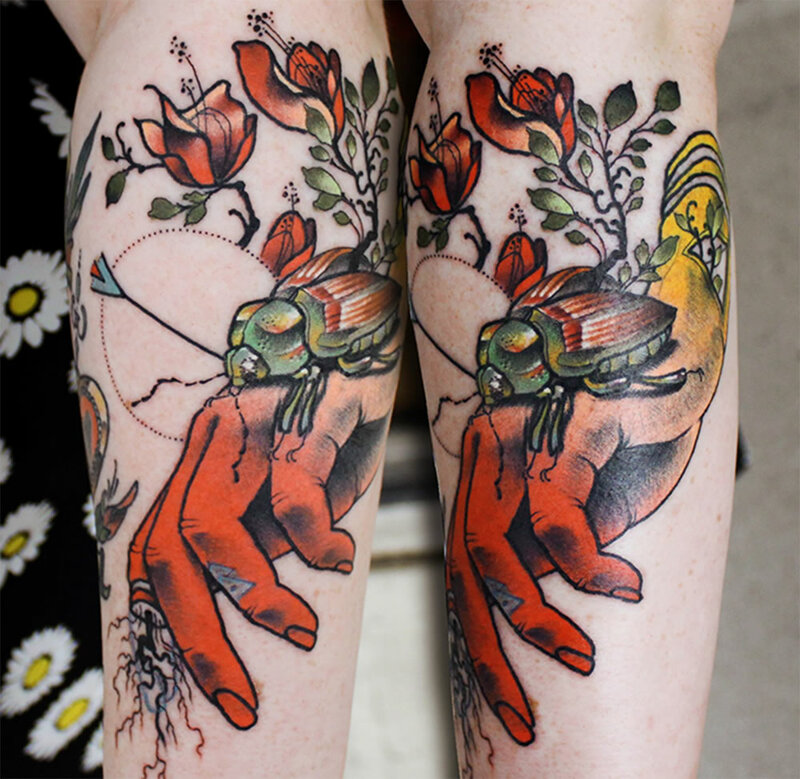 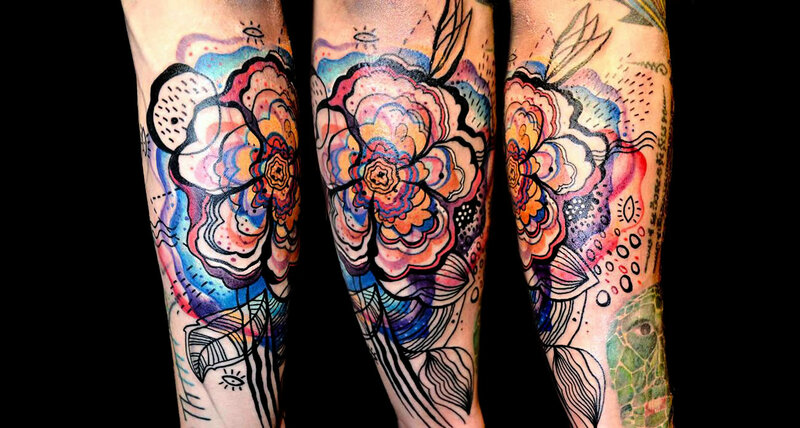 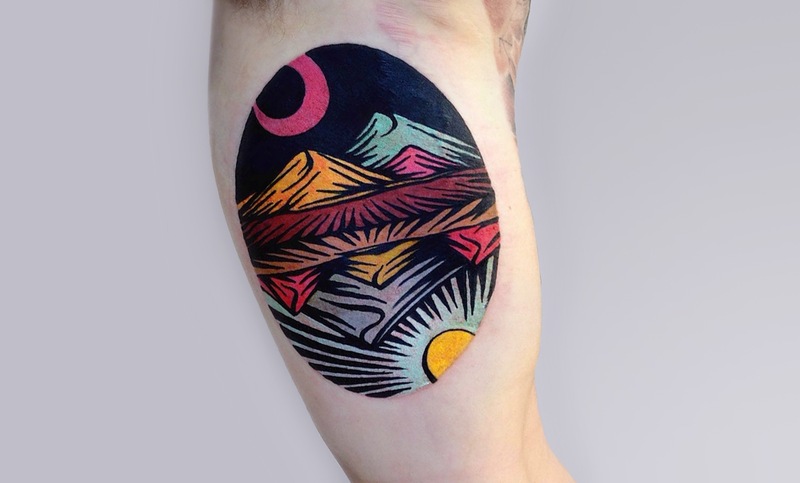 He expertly inks gradient colors and thick black outlines on the skin, which the latter is a typical characteristic in old-school Americana tattoos, but can also hint influences from graphic novels. 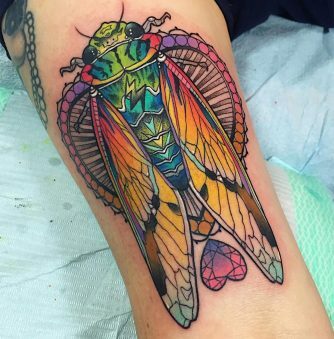 If you are interested in keeping up-to-date with his artistic creations, please check out his Instagram page. 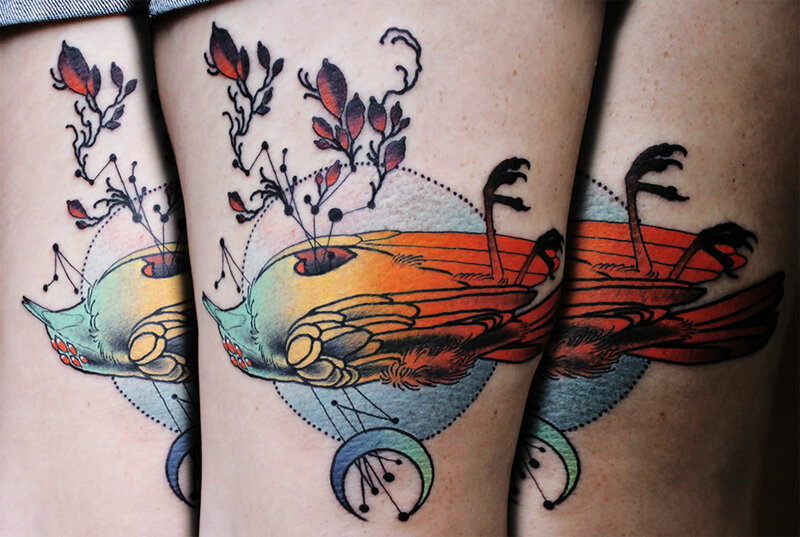 And if you would like to get a tattoo by Eich, he can be found at Studio 13 in Fort Wayne, Indiana, US.